NEW YORK: While enjoying Bronx Beer all throughout The City, we want to remind you of how close you are to where it’s brewed. 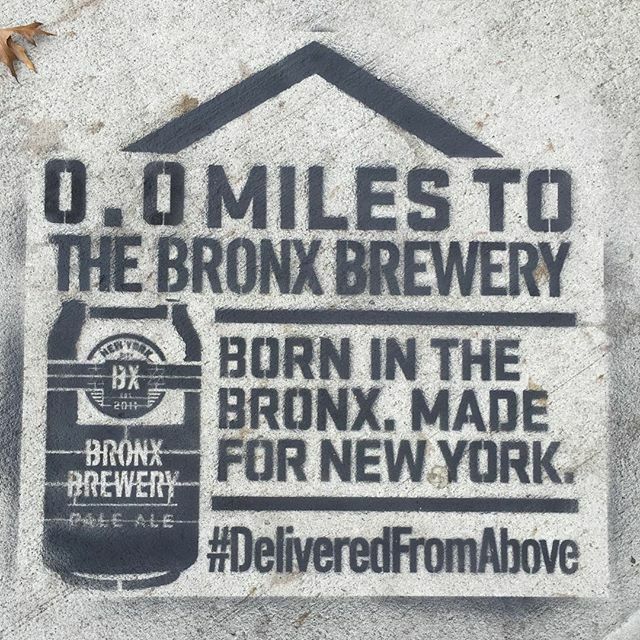 So, beginning this weekend, you’re going to see Bronx Brewery cans sprayed on sidewalks all throughout The Bronx, Brooklyn, Queens and Manhattan – each stencil will tell you exactly how far you are from our Brewery. Hopefully you’ll track down at least one of our stencils – and if you do, take a picture using, a nod to where our beer is made – in the Borough on Top. The first 100 to do so will get their next few pints on us at our Tasting Room.